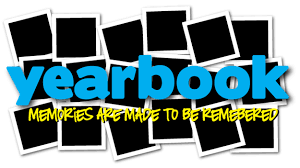 Parents, if you would like to have a special dedication in your child's yearbook, please email your dedication and picture in jpeg format to marietta.molina2018@yahoo.com. Attention all 5th grade parents, PTA needs your child’s baby and kindergarten picture for the yearbook. Pictures with your child’s name written in the back can be handed to the teacher or placed inside the black box located in the main office. Please submit the pictures by February 22nd. Powered by Edlio Hamlin Charter Academy © 2017. All Rights Reserved.